Today’s post is for anyone who’s new to the cruelty-free realm! I’m going to briefly talk about what to look for when buying cruelty-free. When first deciding to go cruelty-free, it can be pretty daunting — when you don’t know what’s cruelty-free and what’s not. I remember when I decided to go cruelty-free, I had absolutely no idea what I was doing! I didn’t know what qualified as cruelty-free or where to find out. Parent companies …what’s a parent company? I didn’t even fully understand the absolutely inhumane torture that is animal testing. It took time and it wasn’t easy but, luckily, I slowly started to find cruelty-free products. As difficult as it was for me back then to find cruelty-free products, though, I feel like it’s even more difficult to go cruelty-free today — especially if you’re used to buying everything at the drugstore or Walmart. When I started on my cruelty-free journey, there were more drugstore brands available that weren’t tested on animals — St. Ives, TRESemmé, etc. Then, I believe it was around 2010 or 2011, many of these brands were purchased by larger parent companies that weren’t/aren’t cruelty-free, like Unilever. Many of these brands also saw opportunity in China — a country where there’s mandatory animal testing. So these companies started testing on animals — companies who many of us thought would always be cruelty-free. Then there are the companies that blatantly lie to consumers — like Revlon — who fooled consumers for years by making everyone think they were cruelty-free when, in actuality, their products were/are being tested on animals. That’s why it’s so helpful that there are certain ways brands can prove to consumers that they’re cruelty-free — like displaying an official cruelty-free logo. First, there’s the Leaping Bunny logo. This logo belongs to Cruelty-Free International. Leaping Bunny was established in the 1990s to allow brands to prove to consumers their cruelty-free status. To qualify for Leaping Bunny, brands have to comply with the Humane Cosmetic and Humane Household Product Standards criteria. You can read more about Leaping Bunny here! 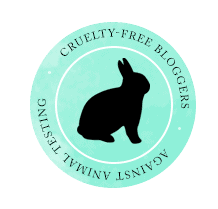 Leaping Bunny also has a list of cruelty-free and Leaping Bunny approved companies on its website. Then there’s the Beauty Without Bunnies Cruelty-Free logo, which belongs to PETA. This logo is displayed on products that have not been tested on animals and are 100% cruelty-free. PETA also has an online database to search for cruelty-free brands. Also, there’s the Not Tested on Animals Rabbit logo. This logo belongs to Choose Cruelty-Free. Again, to qualify for this logo, companies have to be able to prove their cruelty-free status. Choose Cruelty-Free has also provided a list of cruelty-free accredited companies. Then we have the Certified Vegan logo from vegan.org. Vegan.org was created in 1995 and has certified hundreds of vegan products over the years. For a company to use this logo on its products, the products have to contain no animal products or by-products and can’t be tested on animals. Here you’ll find a list of certified companies. There’s also the Vegan logo from The Vegan Society. To be eligible for this logo, products and their ingredients must not be tested on animals either directly or through a third party, ingredients must not be animal derived, and products can’t contain Genetically Modified Organisms (GMOs). The Vegan Society has a “Trademarked Products Search” on their website for anybody who wants to see which products carry this logo. And then we have the Vegan Approved logo from Vegetarian Society. To qualify for this logo, a company’s products must contain zero animal-derived ingredients (including cross contamination) and must not be tested on animals (directly or third party). The products also cannot contain GMOs. Vegetarian Society also has a list of approved products on their website. I trust these logos the most when buying something new — unless I know a certain brand is cruelty-free (many cruelty-free brands don’t carry any of these logos, but it doesn’t mean they’re any less cruelty-free; more research would be needed to determine their cruelty-free status). If a brand that I’ve never heard of has one of these logos on its packaging, I’m generally pretty confident enough to purchase it, if I’m interested in it. I also like to check the official lists, though. We all have to be careful, however, to make sure that the logo on the packaging is not a fraudulent, look-alike logo — making you think the product is cruelty-free. There are companies that try to make consumers think that they’re cruelty-free when, in fact, they’re not. Many companies feel they can get away with calling themselves cruelty-free because, perhaps, their final products were not tested on animals — when all the ingredients that went into them were. Please beware of look-alike logos (even if it’s a bunny logo, or something like that). Buying cruelty-free is completely a learning process. I’ve been buying cruelty-free for about 10 years or so now; I’m still learning and I still make mistakes. I mean… with parent companies acquiring different brands and policies changing all the time, it can be difficult to keep up with which companies are still cruelty-free. That’s why it’s so helpful to be able to see an official cruelty-free logo on products. It makes it so much easier and less stressful when shopping. Ultimately, we have to be so careful when trying to buy cruelty-free. It’s not always enough to see “Not tested on animals” on the back of a product. Sometimes it’s false advertising. Previous Post Mani Monday | Breakfast At Tiffany’s!